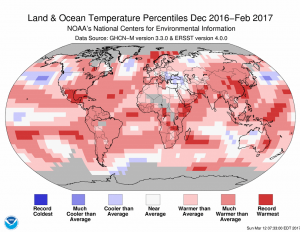 NOAA’s report on global climate came out this morning and shows that, like NASA’s analysis released yesterday, February was the second warmest on record, after 2016’s El Niño-affected record. 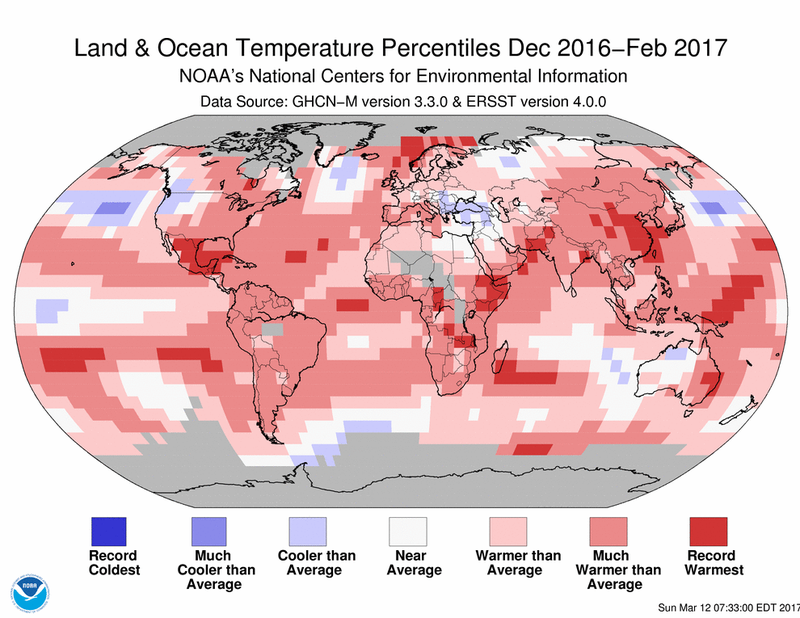 The winter record for December 2016 through February 2017 was also the second-highest on record. You can read more at https://www.ncei.noaa.gov/news/global-climate-201702 as well as this story by Jeff Masters on the WunderBlog here.